Modernized and annotated by William H. Gross www.onthewing.org Mar 2015 - includes Wesley's 1739 sermon on Free Grace, cross-ref'd. "Many of my friends, that are strenuous advocates of universal redemption, will immediately be offended. Many that are zealous on the other side will be much rejoiced. They that are lukewarm on both sides, and are carried away with carnal reasoning, will wish this matter had never been brought under debate...I heartily pray God to hasten the time for his being clearly enlightened into all the doctrines of divine revelation, that we may thus be closely united in principle and judgment as well as heart and affection." George Whitefield wrote this letter to John Wesley in 1740, in response to Wesley's sermon entitled "Free Grace" (also included and cross-referenced in this eBook). Whitefield believed the issue vital to robust Christianity, and hastened to write from Georgia in the American colonies, to his friend across the sea. 3. The Life and Times of John Wesley. L. Tyerman, vol. 1, p. 315. 5. It was Wesley's practice at this period sometimes to decide on questions of guidance by casting lots. 7. Tyerman gives lengthy extracts from this correspondence, and the quotations which follow will be found in pp. 313- 322. 9. Life of Wesley, vol. 1, pp. 351-352. 10. This was no easy thing when it is remembered what provocation Whitefield suffered from John Wesley. On leaving England in 1739 Whitefield was the leader of the awakening; when he returned in 1741 it was to find himself supplanted and Wesley organizing the movement around himself. He had cause to write at a later date: "I have been supplanted, despised, censured, maligned, judged by and separated from my nearest, dearest friends." (Works of George Whitefield, edited by Gillies, vol. 2, p. 466.) But Whitefield was too great to contend for personal prominence. 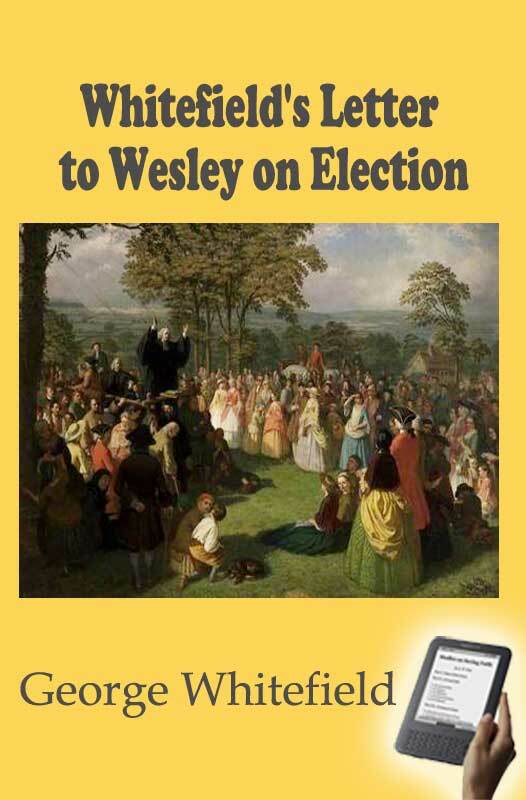 The legend of "England before and after Wesley " began to originate from this time.